How do you find someone to practice with? Can someone please correct my text? Is French similar to English? 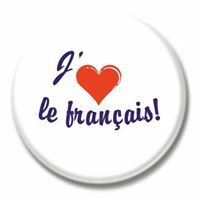 Did you study French in high school or college? Has anyone been to France? Why can I easily talk to French-speaking people, but don't understand eg. songs in French? How does one say this in French?